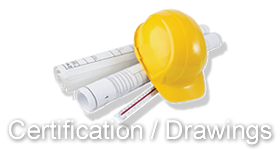 Site supervision of construction activities ensure that structures are built to design specifications in a safe and efficient manner. Caliber’s site supervision services include construction conformance statements as well as structure certification documentation. 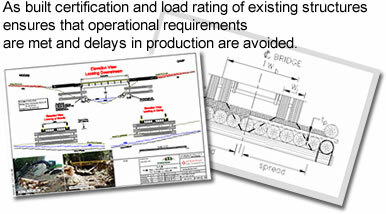 Site supervisors are able to deal with problems as they arise during the construction process. 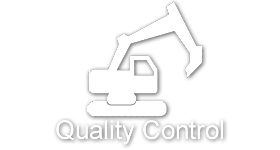 Quality Control services provide a third party evaluation of construction materials and methods. 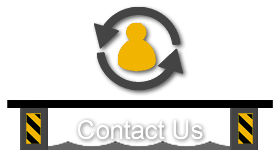 Our expertise in this area includes rebar and concrete evaluation, materials testing and procurement. 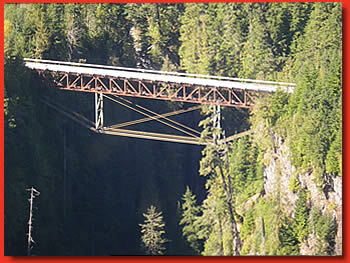 and major culvert design resource industry roads. 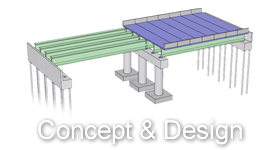 Our structure certifications include load ratings and / or recommendations on maintenance to improve load capacities or if required, replacement options. 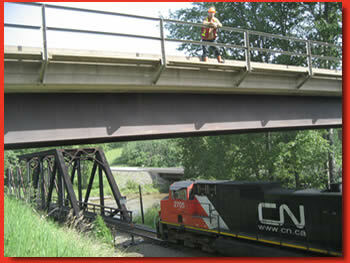 Caliber has developed a comprehensive and efficient bridge inspection program. 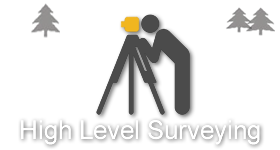 Client data reporting and recording requirements vary significantly in this area. Caliber has experience with several different inspection programs in both the government and private sector. 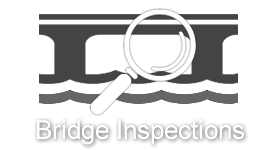 Regardless of the inspection system in place, Caliber has been successful in completing thousands of bridge inspections throughout the province. 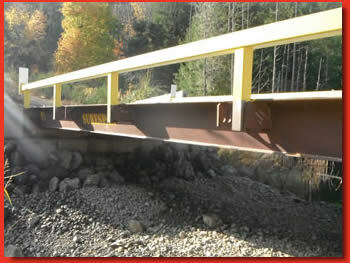 Our bridge inspection deliverables provide accurate findings pertaining to bridge condition, maintenance and replacement requirements. 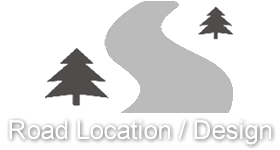 Caliber offers road location, survey and design services, as well as deactivation prescriptions and equipment supervision. 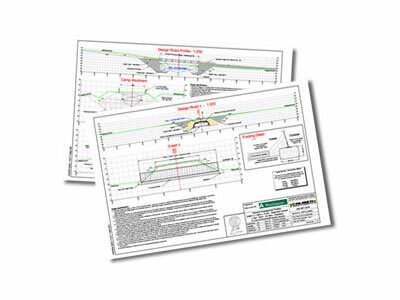 We offer complete design and deactivation packages that include maps, road cross sections, mass haul calculations, geotechnical reports, plan and profile views. 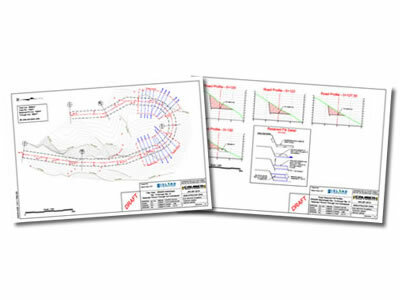 Our road design and deactivation packages are easily interpreted and include all necessary information to complete construction and deactivation phases. 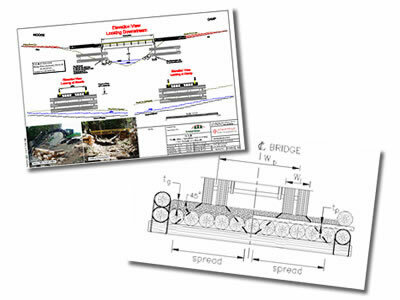 Equipment supervision ensures roads are built and deactivated according to engineering and environmental standards..
At Caliber Bridge and Design Ltd. our survey skills enable us to fulfill a variety of higher level survey tasks. 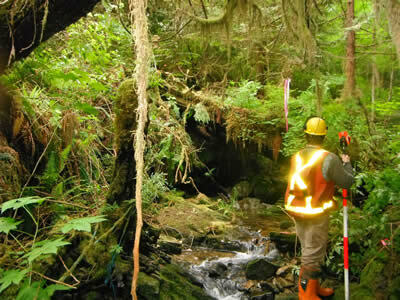 We have completed survey work for forestry construction applications (bridges and roads), civil / geotechnical consultants, hydro-electric developers, and large scale hydrometric projects. 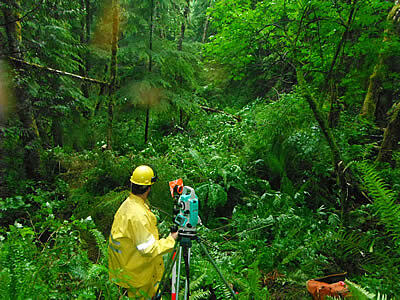 Types of surveys include topographic, construction layout and as-built. 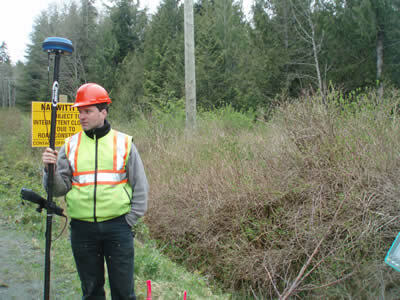 Our ‘On the Ground’ data collection is used during design construction and certification phases..
Coastal Watering Facilities vary significantly in respect to design and management requirements. 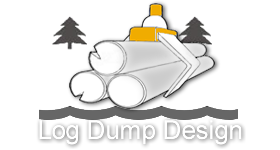 Caliber has designed a number of log dumps throughout the coast including small dump sites used for ‘camp run’ bundles, Log / Steel / Floating Skidways, and larger scale sorting and watering facilities. Caliber is also experienced in completing drainage and sediment control plans for the upgrading of existing watering facilities and sort yards.